As promised, here’s a brief report from our brass trio tour this past weekend. 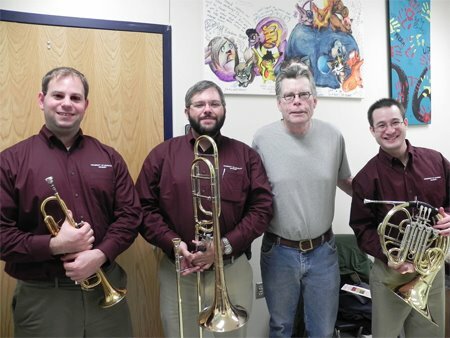 The performances went very well, and we had the opportunity to meet some wonderful people, including Stephen King! Through an unlikely set of coincidences, one of the schools we visited on our tour served as a venue for a lecture and book-reading by Mr. King. The band director at the school (McKinney North High School) asked us if we would be willing to provide some pre-lecture music in addition to our regular performance, and we gladly agreed. Including our pre-lecture performance, we played five concerts on Friday for students at Richardson High School and McKinney North High School. Both schools have very fine band programs, and we would like to thank the directors and students at these schools for their wonderful hospitality. In addition to performing for the students, we also spent some time answering questions and discussing the many opportunities for both music majors and non-majors at ULM. One question that seemed to keep coming up in these sessions was “how much do you practice?” Although each of us had different answers regarding individual practice habits, we all stressed the importance of a daily routine of fundamentals as a foundation for further development. We also discussed the importance of individual preparation prior to ensemble rehearsals. Since our rehearsal time as a trio is limited, we make sure to prepare our music to as high a level as possible before rehearsing as a group. 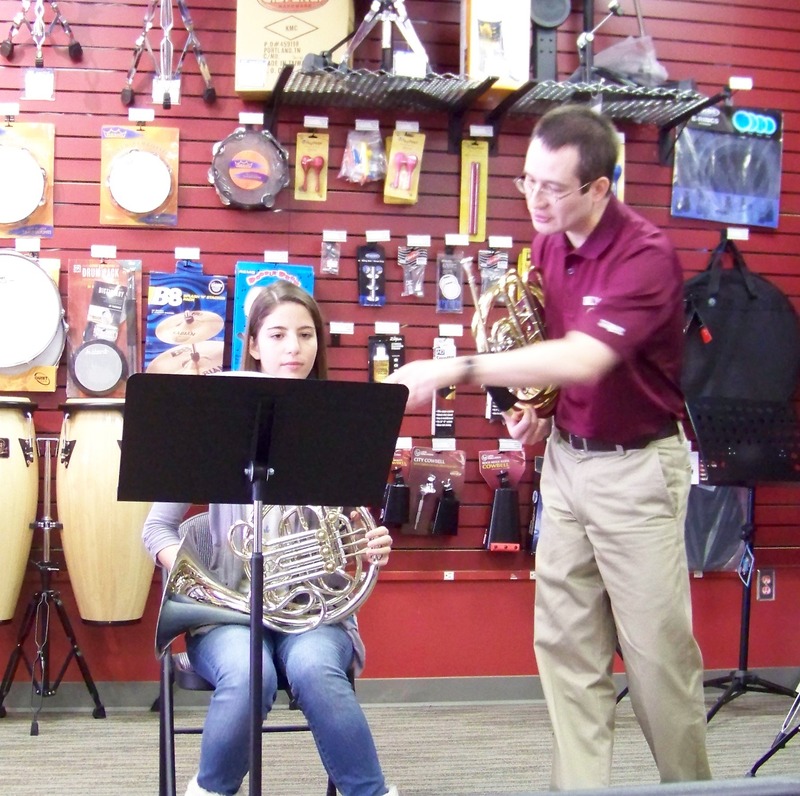 On Saturday, we performed two more concerts and worked with some very fine students at two Music and Arts Stores. We had great crowds for both shows, and I heard some excellent horn playing from students ranging from seventh grade through high school senior. One thing I noticed was that all of the horn players had very solid fundamentals, no doubt due to their private lesson work with Ashley Downing – a local freelancer and teacher in the Dallas area, and the wife of Music and Arts District Manager Andy Downing. Regular private lessons with a good teacher combined with individual practice are definitely the way to become a better horn player! Overall we had a great tour, and are looking forward to our next trip – we’ll be visiting several schools in Mississippi in early December. To close, I’ve embedded a short video of us performing part of Rimsky-Korsakov’s Flight of the Bumble-Bee, arranged for brass trio by ULM low brass professor Micah Everett.